Photo used with permission from E.R. Degginger, photographer. For many years a small clipping from a magazine hung over my desk. It was a picture of spirogyra, a single cell organism, taken through a microscope. It was put away in a file for a couple of years, but the image was still in my head. 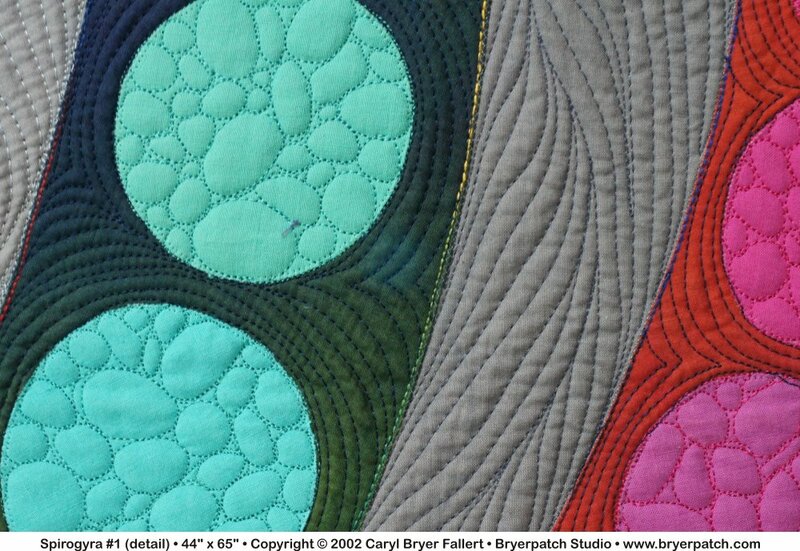 This quilt is a loose interpretation of my memory of the image I looked at for so many years. 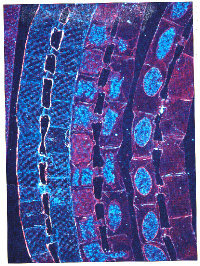 Spirogyra, by the way, is the scientific name for a filamentous alge, commonly known as "pond scum". This entire quilt is a study in intersecting color and value gradations. 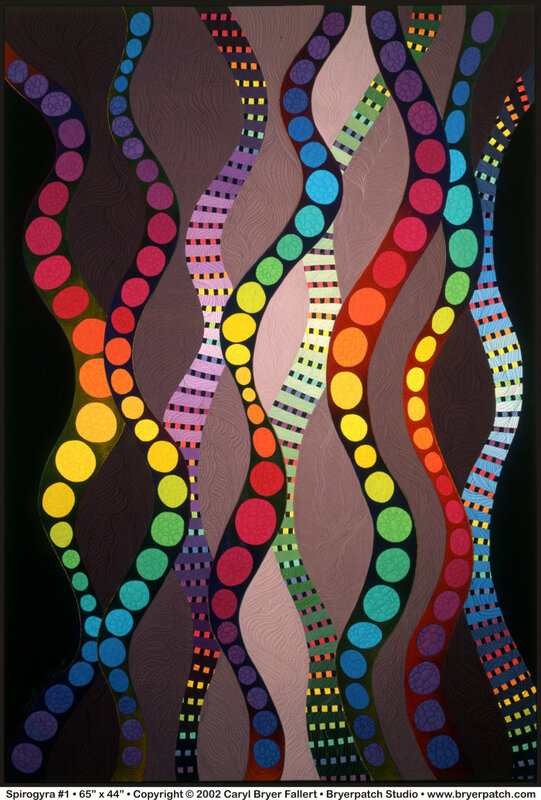 The rainbow colored checks were made from a black and white striped fabric, which was overdyed in 12 colors of the color wheel. 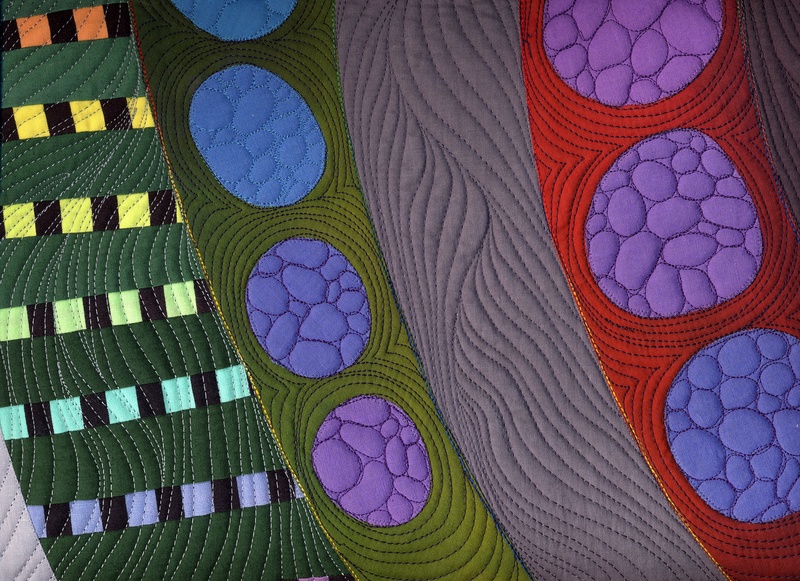 They were pieced in strips between strips of graduated light to dark purple, green, and blue. 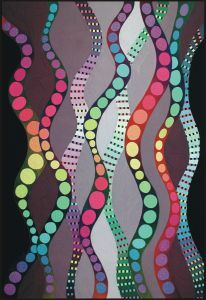 The convoluted curved templates behind the circles were cut from a large piece of fabric which had been dye painted in a gradation of dark colors. 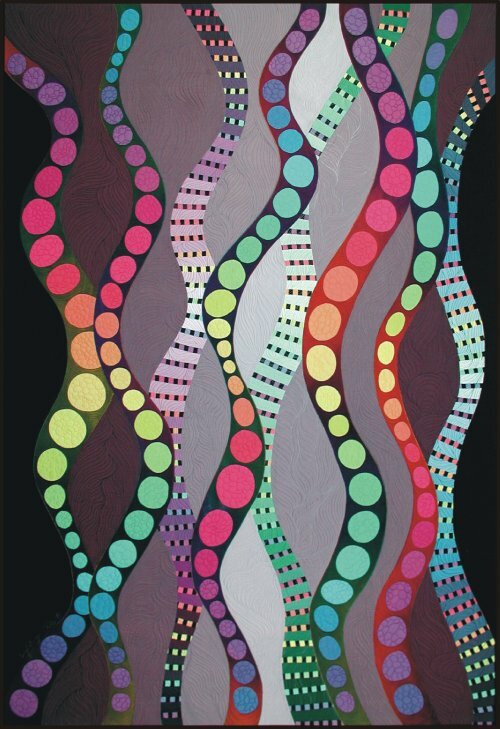 The circles were cut from a lighter colored solid rainbow gradation. The background behind the convoluted curves graduates from black on the sides to light gray in the center. 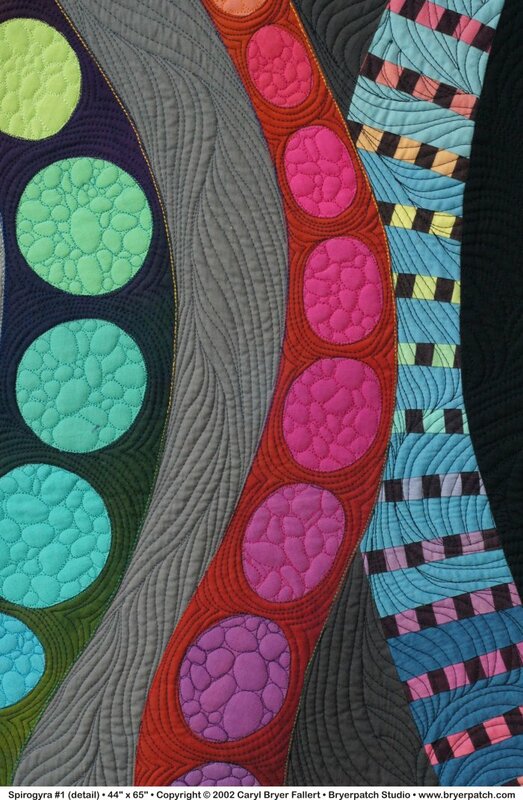 The circles were quilted in a pebble pattern.The background and the checks were quilted in interlocking organic curves that suggest flowing water or braided fibers. 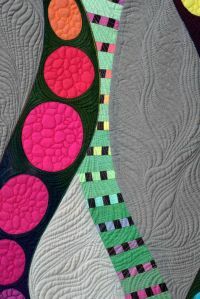 The technique I used in this quilt is called Applipiecing ®. Instructions and digital workshops that show this technique in detail are available free on our ARTICLES page.